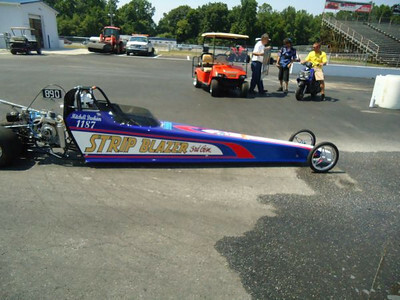 The 2012 Legends at Budds Creek nostalgia drag racing event was beset by problems, including 106 degree temps on day one and a huge storm on Friday night that knocked out the power for Saturday. Royce Miller eventually opened the gates for free grudge runs for the racers who waited to get in. Here are a few shots from the event. 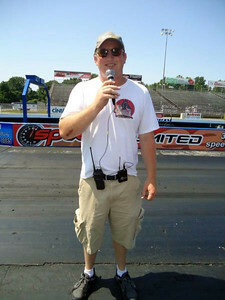 Lee Sebring kept spirits high as he announced the 2012 Legends at Budds Creek event at MIR. Luckily, generator power kept the PA system alive, although so many other systems were lost to the electrical outage. jack Redd did a solid 2 and a half hours of flag starting in 95 degree heat after a huge storm knocked out electricity at the 2012 Legends at Budds Creek event at MIR. We definitely APPROVE Jack's performance! 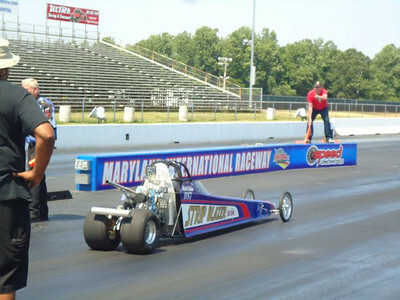 Jack "Approved" Redd gets ready to flag start the last car down the strip at the 2012 Legends at Budds Creek event at MIR, Mitchell Durham. Mitchell is the grandson of racing legend Malcolm Durham. Proud dad Bernard Durham looks on. Royce Miller lines up Malcolm Durham's grandson, Mitchell. Jack Redd gets ready to flag start the youngster. 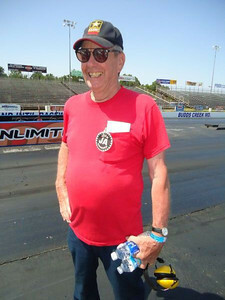 The final car down the strip during the 2012 Legends at Budds Creek event at MIR was Malcolm Durham's grandson (Bernard Durham's son), Mitchell Durham. 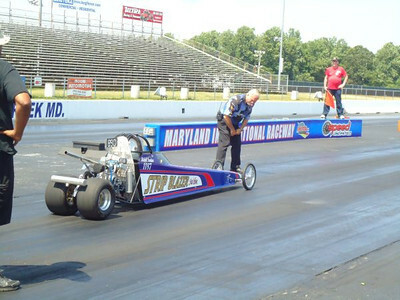 Dale Broderick adjusts his blown Fiat fuel coupe before making an untimed grudge run at the 2012 Legends at Budds Creek event at MIR. 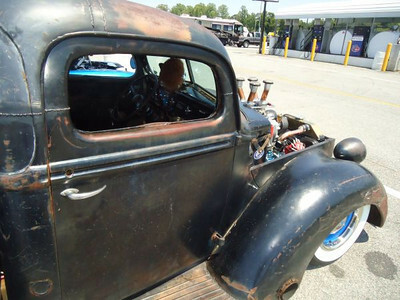 Bitchin' rat rod at the 2012 Legends at Budds Creek event at MIR. 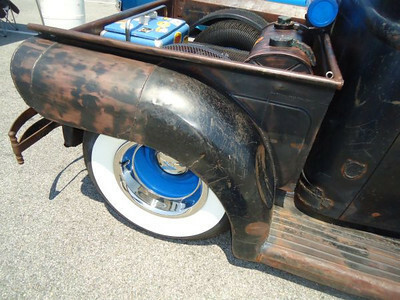 Cool rat rod at the 2012 Legends at Budds Creek event at MIR. 2012 Legends at Budds Creek event at MIR. 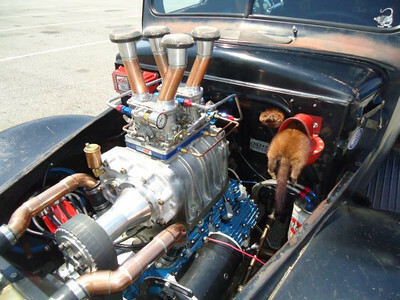 Rat Rod featured blown flathead and a misplaced squirrel. 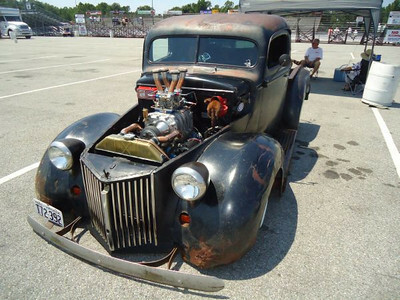 Awesome Rat Rod at the 2012 Legends at Budds Creek event at MIR. 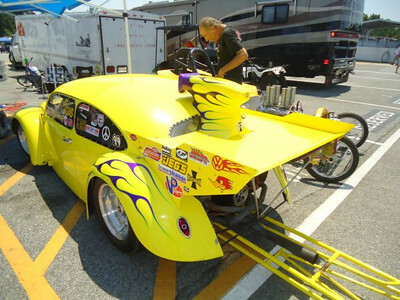 Neat VW racer at the 2012 Legends at Budds Creek event at MIR. 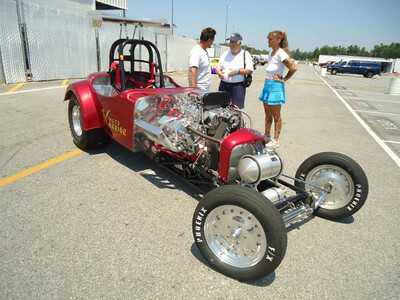 The tallest driver drove the shortest car at the 2012 Legends at Budds Creek event at MIR. 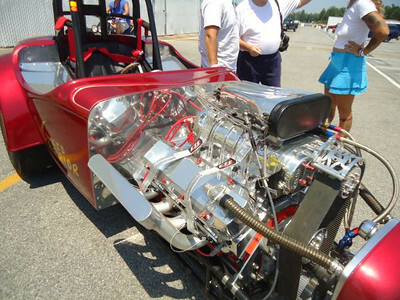 Chrome and candy apple red on the Wicked Warrior blown altered at the 2012 Legends at Budds Creek event at MIR. 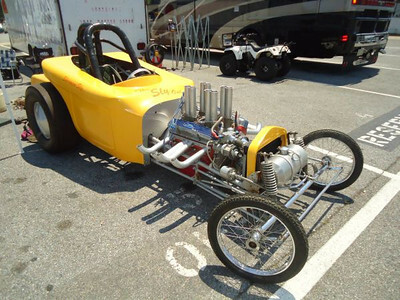 The Wicked Warrior blown altered at the 2012 Legends at Budds Creek event at MIR. Sherman "Sly" injected altered at the 2012 Legends at Budds Creek event at MIR. 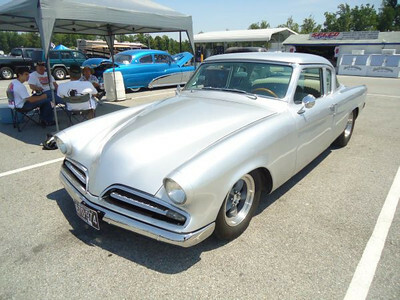 Nice Studebaker at the 2012 Legends at Budds Creek event at MIR.